A natural eye cream that helps to hydrate, freshen and brighten the delicate skin under the eye, addressing the appearance of dark circles. 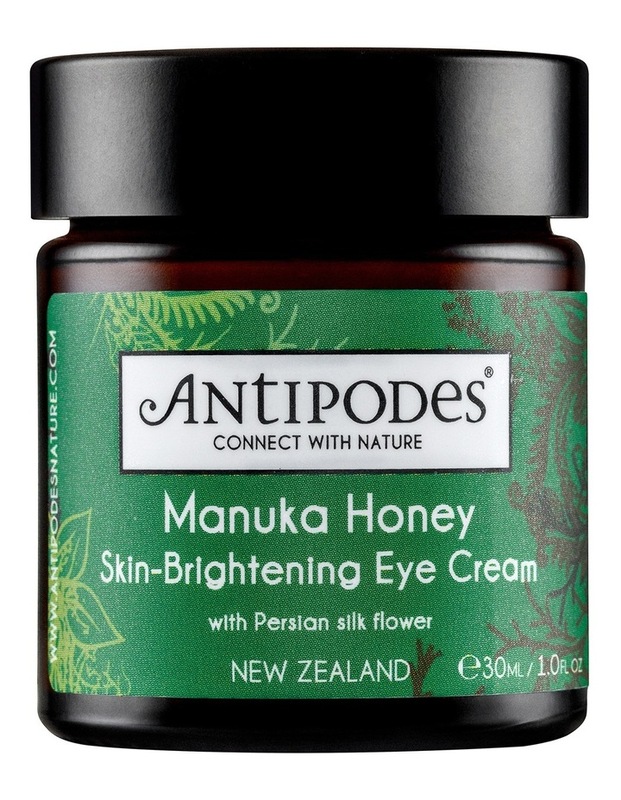 Moisturise and help brighten the skin around the delicate eye area with Manuka Honey Skin-Brightening Eye Cream featuring the antibacterial properties of world- famous manuka honey which helps promote youthful, fresh and blemish-free skin. 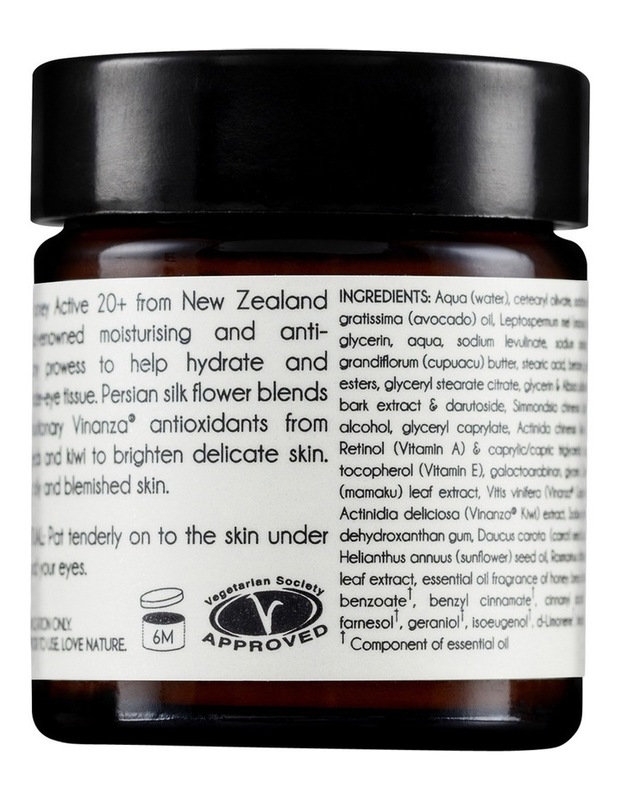 It also features revolutionary antioxidant compound Vinanza Grape & Kiwi from the seeds of award-winning Marlborough sauvignon blanc grapes and the skin of kiwifruit, which has been clinically shown to brighten skin, and Persian silk flower which has an active skin-brightening compound that can help fade dark circles and reduce puffiness under the eye area. Mamaku black fern which promotes cell regeneration. Manuka Honey Skin-Brightening Eye Cream has a pure plant fragrance of honey and is best suited to oily and blemished skin. Vinanza Grape & Kiwi has been clinically shown to brighten skin by decreasing trans-epidermal water loss by 16%, improving skin elasticity by 16%, decreasing skin redness by 7% and lightening skin by 3.5%. Certified vegan by the UK Vegetarian Society (VegSoc).